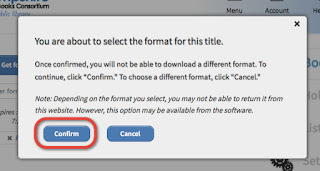 Kindle Books published by Penguin cannot be transferred wirelessly to a Kindle Device and cannot be used on a Kindle app on a tablet or phone or be read on a computer. 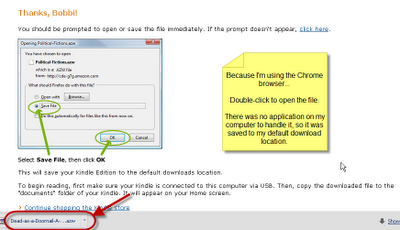 Here are the instructions for transferring a Penguin title to a Kindle device. 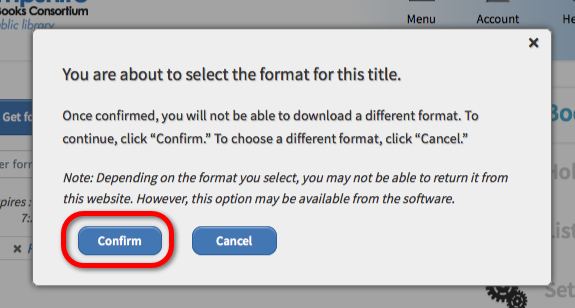 When you find an eBook with the words "Kindle Book USB Only," continue to checkout the title as normal by clicking "Borrow." Click any image to see a larger version! 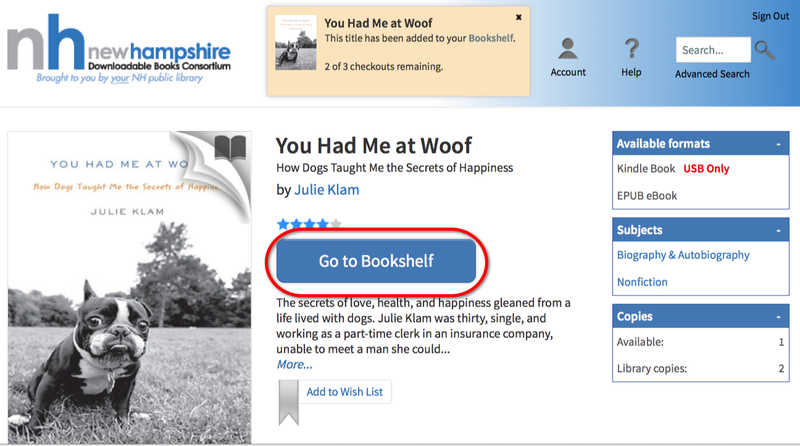 Add the title to your cart, proceed to checkout, and confirm your checkout of the Kindle Book format. Click on "Get for Kindle." Select the device you want to read the book on. 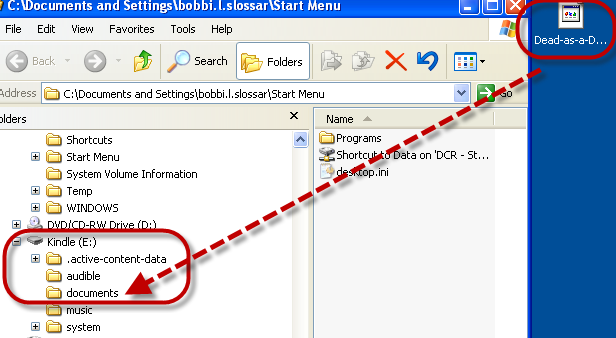 The file will download to the default download location. The browser you use and the download settings saved in your browser matter! Since I'm using Chrome right now, the file showed up at the bottom of my screen. It was ultimately saved to my desktop (my default download location). Plug your Kindle device into your computer. You'll need to be able to look into the Kindle Touch's folders. Browse for the "Documents" folder using Windows Explorer (Windows) or the Finder (Mac). 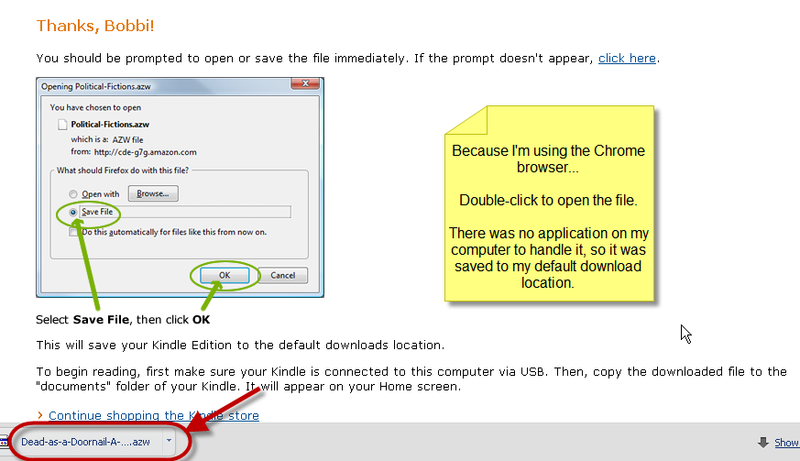 Or on a Windows computer, wait for the computer to detect the Kindle and the AutoPlay screen to pop up. Using AutoPlay, select "Open Folder to View Files." Find the Documents folder. I found the Kindle Book file on my desktop and dragged it into the Documents folder of my USB-connected Kindle. 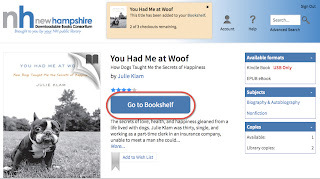 Safely disconnect the Kindle from your computer and view the Kindle's home screen to see the library loan. Check out this video from Amazon for better instructions! 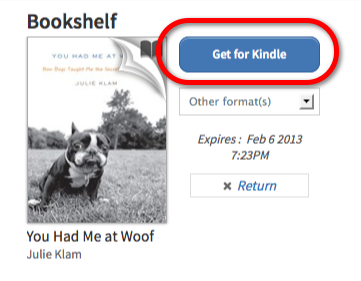 These instructions are only for Kindle devices -- not the Kindle apps on phones or tablets. Remember that many tablets and phones can have the OverDrive Media Console installed to read EPUB eBooks in our collection.